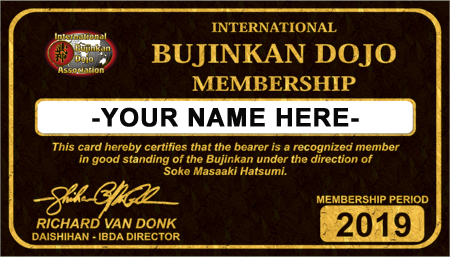 A Membership with IBDA is an Official Bujinkan Membership. You can get a membership with us and train anywhere, with anyone in the Bujinkan. 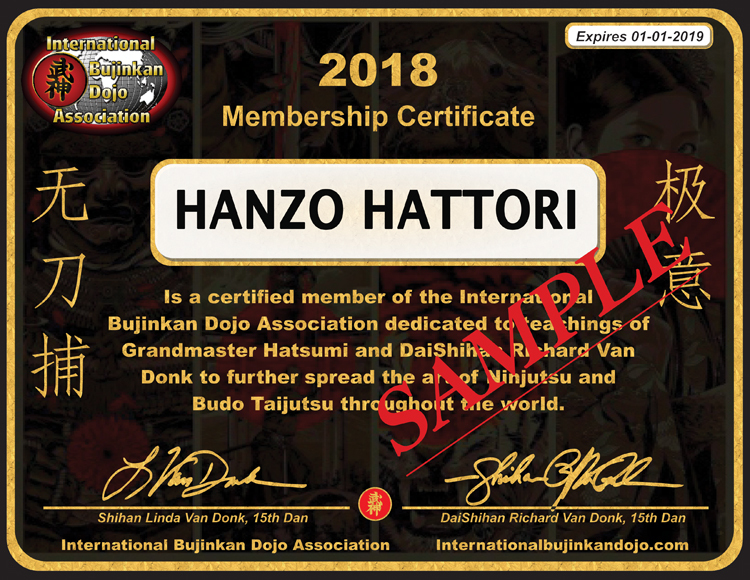 Soke Hatsumi has ended the Hombu itself issuing Memberships and has transferred the responsibility and authority of Bujinkan Memberships over to the DaiShihan that want to take over this responsibility. IBDA and DaiShihan Richard Van Donk has accepted his request and responsibility. Since 1986 we have been serving the Bujinkan Community.... 30 years later we are still growing. 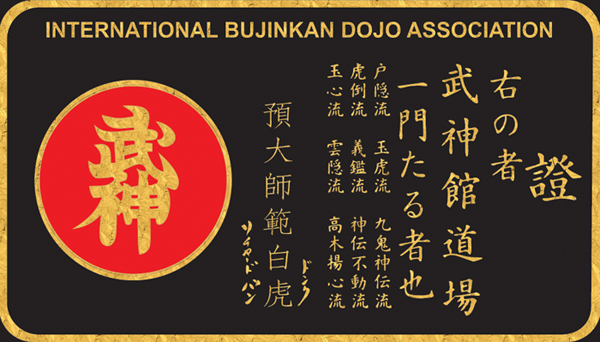 We support ALL Bujinkan members, both teachers and students. We are here to support the Bujinkan, in every way. Feel free to get a membership with us no matter who you train with. DaiShihan Richard Van Donk has gone to Japan over 50 times to train with Soke Masaaki Hatsumi and other Shihan teachers. He has received most every award given by Soke. Our Bujinkan educational teachings are University level and cover from how to tie your belt to being a master teacher. Check out the Bujinkan Masters Course. Membership keeps you connected and your beautiful wall certificate and patch prove it. Membership is required for all IBDA rank testing IF you are also enrolled in the proper course. We do not test other peoples students and all grades come from Japan Hombu. Since 1986 we have been serving the Bujinkan Community.... 30 years later we are still growing. Membership is required for all IBDA rank testing IF you are also enrolled in the proper course. DaiShihan Richard Van Donk has gone to Japan over 50 times to train with Soke Hatsumi and other shihan teachers. He has received most every award ever given by Soke. We do not test other peoples students and all grades come from Japan Hombu.